Alaska. 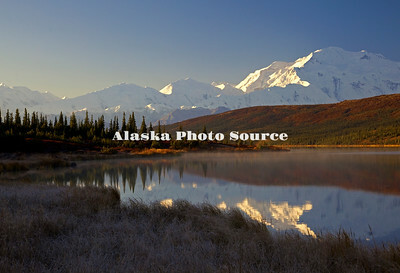 In this view above Wonder Lake, the autumn tundra adds a colorful foreground to Mt. 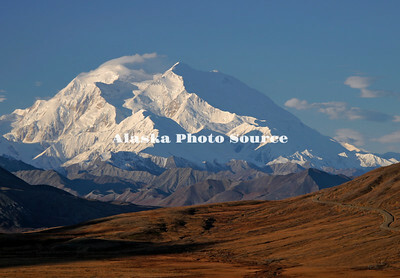 McKinley basked in morning light, Denali National Park. Alaska. 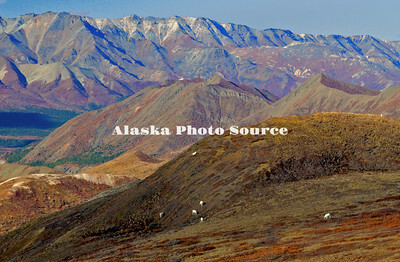 Dall Sheep (Ovis dalli) feeding along the mountainside tundra vegetation, among a mosiac of autumn colors, Denali National Park. Alaska. 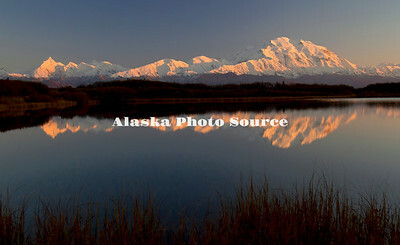 Evening view of Mt McKinley from Reflcetion Pond, Denali Natl. Park. and Preserve. Alaska. 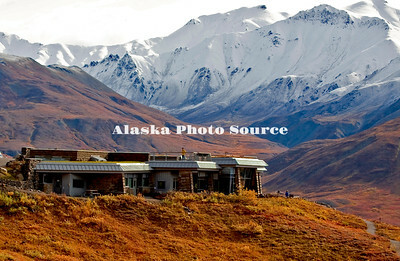 New Eielson Visitors Center, outside view from park road, Denali Natl. Park. Alaska. Morningl view of Mt. 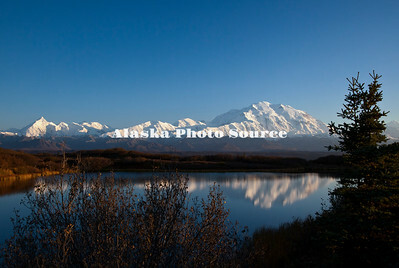 McKinley from Reflection Pond, Kantishna, just outside Denali NP. Alaska. 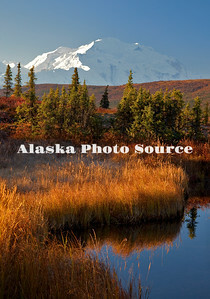 Autumn view of Eielson National Park Visitor Center, in Denali Natl. Park. Alaska. 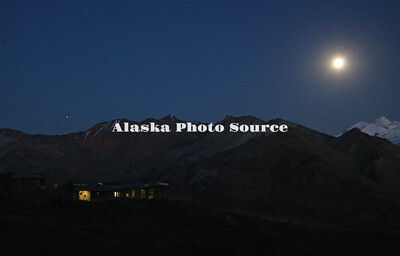 Eielson Visitor Center after dark in Denali Natl. Park, with Jupiter rising overhead and the moon glowing. Alaska. 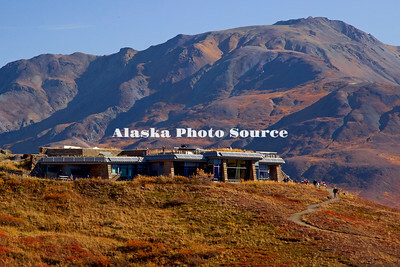 New Eielson Visitors Center, outside view from top, Denali Natl. Park. Alaska. Alpine Glow highlights this evening shot of Mt. 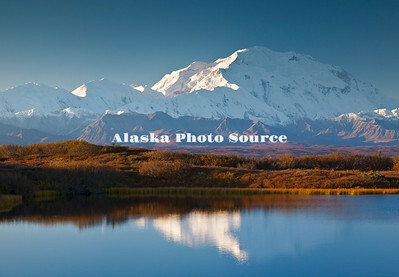 McKinley and Wonder Lake, Denali National Park. Alaska. 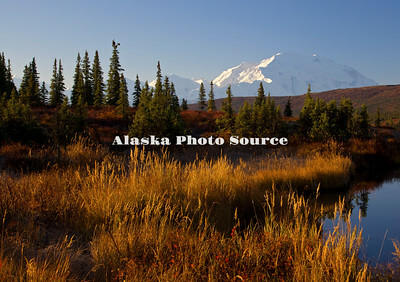 In this view above Wonder Lake, the autumn grasses and shrubs add a colorful foreground to Mt. 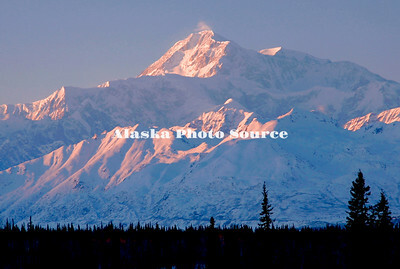 McKinley basked in morning light, Denali National Park. Alaska. Mt. McKinley as seen in Reflection Pond on a brillant, calm evening, Denali National Park. Mt. 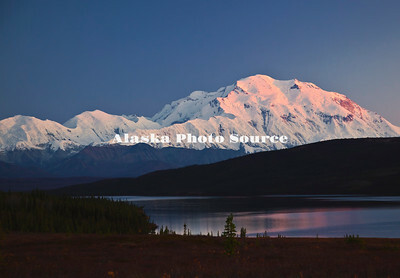 McKinley is barely visible in this post sunset image on an extrordinarily evening, taken from above the Wonder Lake campground. Alaska. Warm, morning light basks Mt. 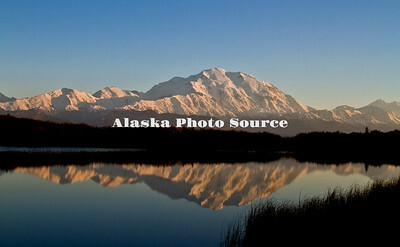 McKinley while mirrored in Reflection Pond, Denali National Park & Preserve. Mt. 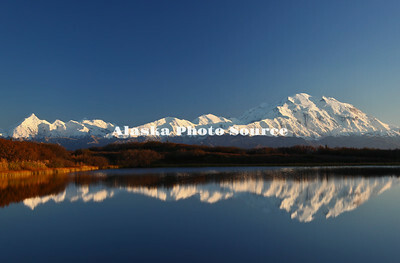 McKinley is basked in warm, morning light while mirrored in Reflection Pond, Denali National Park & Preserve. Alaska. 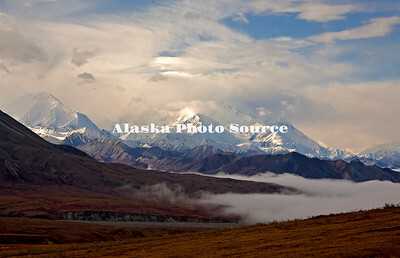 Fall colors in the tundra accentuate this morning view of Mt. 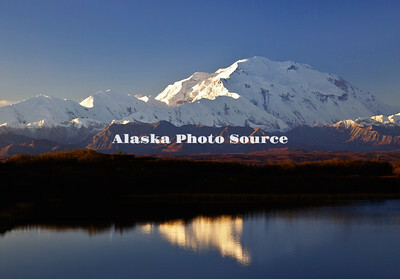 McKinley from Wonder Lake, Denali National Park. Alaska. 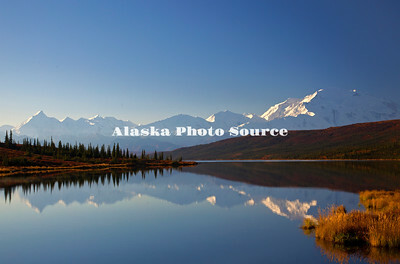 In this view of Reflection Pond along the Denali Park Road, Mt. 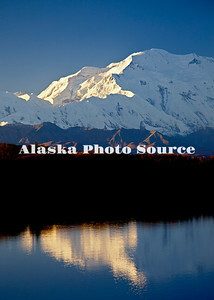 McKinley is basking in evening light at the end of a beautiful clear day, Denali National Park. Alaska. 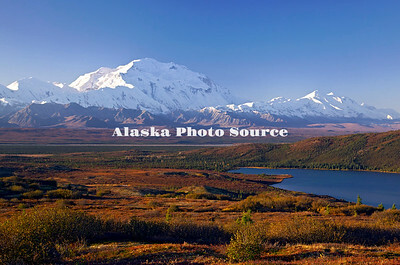 In this view of Wonder Lake, the autumn tundra adds a colorful foreground to Mt. 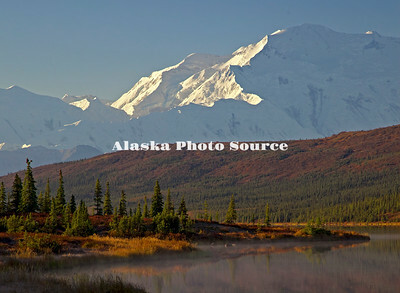 McKinley basked in morning light, Denali National Park. Alaska. Morning reflection of Mt. 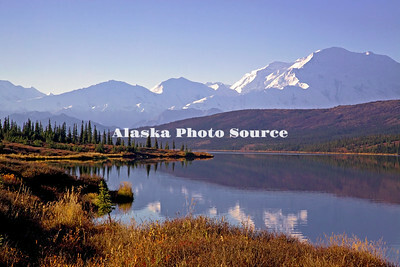 McKinley in the autumn setting of Wonder Lake, Denali National Park. Alaska. 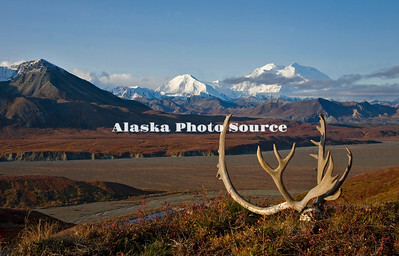 Approaching front within Denali Natl Park (McKinley obscurred) prior to fall snowstorm. Alaska. Autumn scenic of Mt. 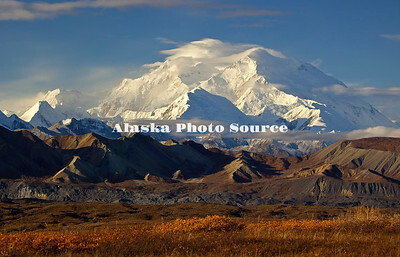 McKinley with lenticulars and other weather moving in from the south, Denali National Park.